Not sure how many of our Fierce Friends are gardeners, but I’ll bet several of you enjoy the pleasures of planting, weeding, harvesting and savoring the ‘fruits’ of your labors in the garden. 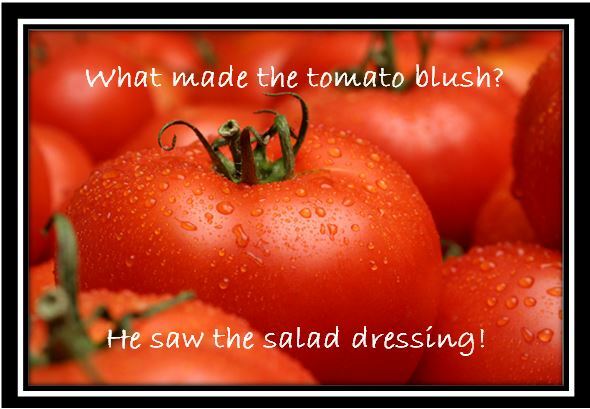 Tomatoes technically are a fruit (I know, I know, don’t put them in the fruit salad) and right now there are lots of them on the vine or at your local farmer’s market. I need to keep reminding myself how much I will miss all this fresh goodness as I fight being overwhelmed by the sheer number (aka poundage) of tomatoes clamoring for my attention as they announce, with their gorgeous shades of red, yellow and yes – even green, their readiness to leave the vine. What to do with all that luscious harvest all at once is not a new dilemma, but there are some great options that may be new to some of you. Other than canning or freezing them, here are few quick (dare I say less cumbersome?) ideas for using all that delightful bounty. I don’t think I can claim that these are less traditional as I have no doubt that many avid gardeners and farmers have been getting creative with their summer’s end tomatoes long before I started researching options. 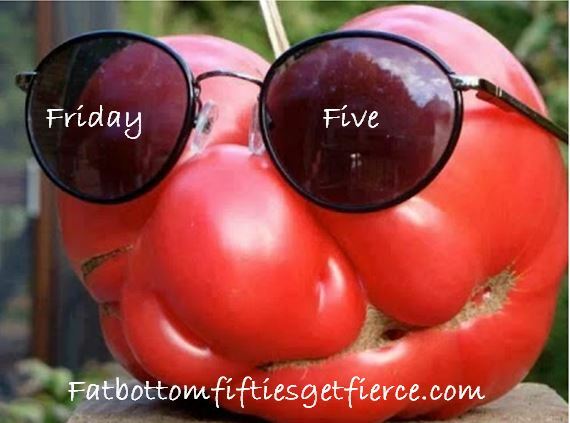 There are many, many more recipes available but this is a Friday Five so…. Fried Green Tomatoes: These can be enjoyed both in the spring and the late summer/early fall. In the spring, when I can’t wait another day for a ripe tomato, I’ll bring in a couple of green tomatoes, slice them generously, dip them in egg wash, sprinkle with seasoned panko crumbs and fry them up in a skillet. The tang is definitely something to be savored. I have some tomatoes that just will not have enough time to ripen and look at those as a reward for all my hard work in the garden! Savoring green tomato at the start and finish of the season confirms that gardening is so worth the effort. Garden Fresh Tomato Soup: This one is a life saver when the volume of tomatoes is at its peak. I can quarter the tomatoes, slice an onion and throw in whole garlic cloves, boil and strain and I have the best tasting tomato soup ever. I omit the sugar (even before El’s article on other uses for it) and add some fresh basil. You could use vegetable broth in place of the chicken broth if you want to keep it vegetarian. I recommend doubling the recipe as it will go fast! Sweet – This sweet version is one I haven’t tried yet but am quite sure, someone out there reading this has. Please let us know what you think of the dish. This recipe is from Taste of Home and it looks like a classic. Many commenters said they added raisins to the mix but in deference to El’s dislike of raisins, I chose the version in which they were not included. Tomato Slice Appetizers: During the summer months, dinner can consist of tomato slices and fresh corn on the cob, there seriously is nothing better some days. This recipe below jazzes up the plain tomato slice and makes it worthy of an appetizer to serve for company. Choose a favorite marinade or mix up one of your own, (simple olive oil and balsamic vinegar with a few spices sprinkled in) and allow the generously cut tomato slices to sit in it for awhile. Sprinkle your cheese of choice – feta, bleu, cheddar, goat, mozzarella… and serve to your family and/or guests. I think a little toasted bread on the side sounds fabulous (and makes my mouth water a bit just talking about it!). Roasted Tomato Sauce: This last one is kind of like my tomato soup recipe – super easy and wonderfully delicious and can bring that mound of ripe tomatoes down to a manageable load very quickly. 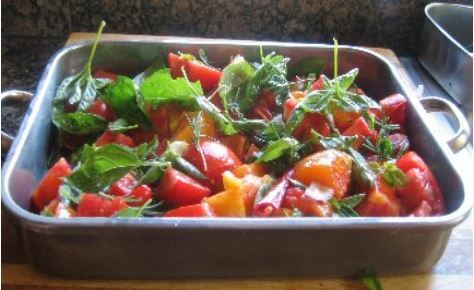 Instead of doing all the processing of the tomatoes before hand, quarter them, add in onions, garlic, basil, and fennel, whatever you like and roast the whole thing in the oven. So much easier to send through the food press after being roasted and then cook on the stove, or even put back in a low oven, until thickness you desire is achieved. Clicking on the picture will take you to the recipe – but it’s definitley a flexible one.